is used as a primer for light and colored metals, for example aluminum, copper, yellow copper, under synthetic enamels and nitro enamels. 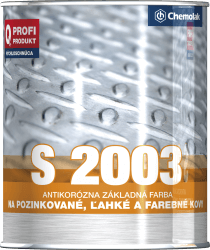 It is also suitable as a primer for metal surfaces. Dries fast and ensures appropriate adhesion of coating system.